Memories of Alec Wright, local artist and historian who made more than 200 contributions to Dalesman, Yorkshire's favourite magazine. However the real stars of the book are the people of Stokesley and the stories they tell, the community groups and the town itself. 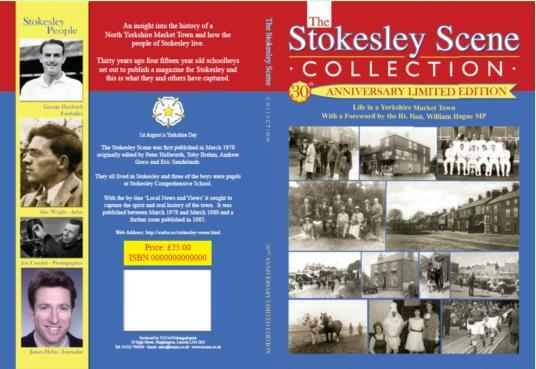 Through photographs, oral history and current events the book establishes Stokesley's special place as a unique Yorkshire market town in which to live, work and visit. The authors of this book have contributed a seat to the people of Stokesley. For more details click here.